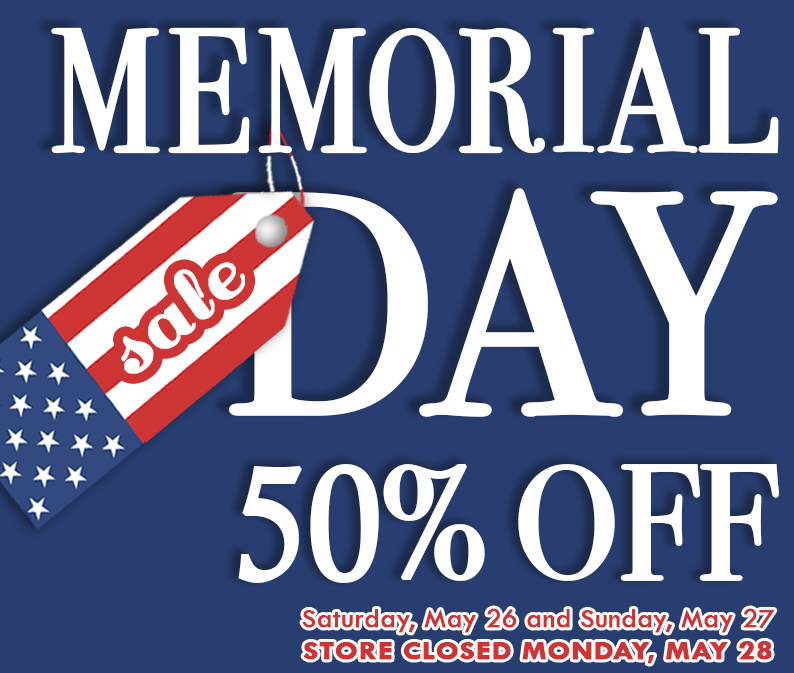 Memorial Day at the Planet Aid Thrift Center - Planet Aid, Inc.
Come join us at the Planet Aid Thrift Center this Memorial Day Weekend for half-off the ENTIRE store Saturday, May 26 and Sunday, May 27. The store will be CLOSED on Monday, May 28 so that our wonderful staff and customers can spend Memorial Day with their family and friends. HAPPY MEMORIAL DAY!